Montbell can trace its routes back to the Eiger and the Matterhorn in Switzerland. 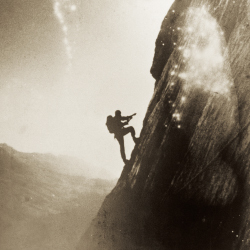 It was on these climbs in 1969 that inspired CEO Isamu Tatsuno with the concept of “Light & Fast.” Montbell would form six years later on August 1st, 1975, inspired by this concept and the desire to make mountaineering equipment that wasn’t available at the time. The goal from the beginning was to make outdoor products that would be loved all over the world. 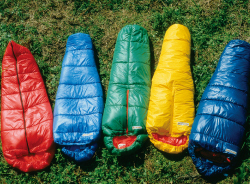 The first products developed by Montbell were sleeping bags and rainwear. 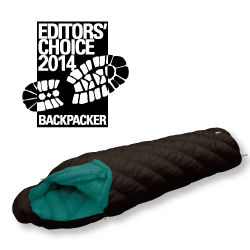 At a time when synthetic sleeping bags where heavy and bulky, Montbell started using DuPont’s Dacron polyester fiber. This hollow filament fill allowed us to successfully produce a sleeping bag that was both lighter and more compact than other synthetic bags of the time. We also began innovating with DuPont’s Hypalon coating to make lighter rain shells with superior waterproofing and durability. For more than 40 years, Montbell’s passion and philosophy towards design and making gear has stayed the same. Our design philosophy is simple, we make gear that we would want to use ourselves. All employees can submit forms to the R&D department with ideas and suggestions for new products and improvements to current products. 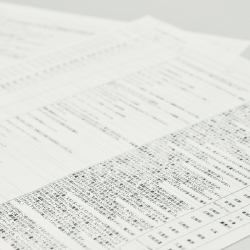 Every year we receive around four thousand submissions including comments from customers and professionals from various fields. These submissions are the inspiration for our products. For example, the idea behind our award winning Down Hugger 900 series came from the EX Light Down series. After seeing how lightweight and compact the EX Light Down series was, an employee suggested we use the same concepts in a sleeping bag, high quality 900 fill power down and super lightweight materials. Though Montbell has a long history of producing outdoor clothing and gear, the first retail store didn’t open until 1991. Today Montbell has more than 120 stores located throughout Japan, some in extremely scenic outdoor areas. Some flagship stores also have restaurants where customers can relax after shopping and enjoy a pleasant meal, prepared with safe, wholesome ingredients. In addition, we have stores overseas in Boulder and Denver in America, Grindelwald and Zermatt in Switzerland. Outside of manufacturing and retail, we also have the Montbell Outdoor Challenge in Japan, or MOC for short. 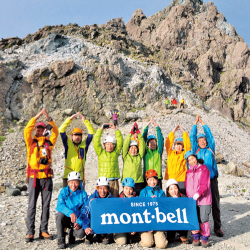 Guided by Montbell staff, MOC holds tours all over Japan in all types of locations. We have tours for a variety of outdoor activities aimed at a wide range of experience levels, from beginner hikers to intermediate trekkers, white water rafting, shower climbing and winter activities such as snow shoeing. In 1985, the Montbell Club was formed as a way to reach more customers and develop our fan base. At the time, Montbell club members only received our seasonal catalogues and ordered products by mail. Today the Montbell Club has about 900,000 members and a variety of benefits and membership levels. Members still receive our seasonal catalogues in addition to earning points on purchases at Montbell stores, invitations to member only events (Friend Fair) and the benefits from friend shops located throughout the world. Currently there are more than 1,800 friend shops which have partnered with Montbell to provide various services to club members. An extension of the Montbell Club is the Montbell Club Fund. 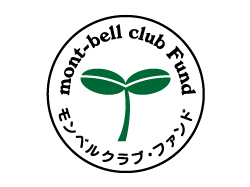 For each Montbell Club Member, 50 yen from their yearly membership fee is put towards the Montbell Club Fund. Totaling close to 30 million yen, this fund helps support individuals and groups with projects whose focus is protecting the environment, humanitarian efforts or exploration. 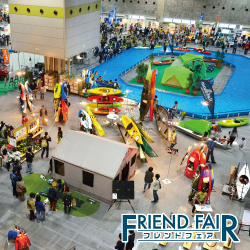 In addition, after the Hanshin Earthquake in 1995, Montbell launched the formation of the “Outdoor Gientai,” a disaster relief effort by the outdoor industry. Donations are collected all over Japan, as well as internationally, to immediately and effectively help areas affected by disasters. Outdoor Gientai is continues to help areas affected by natural disaster. 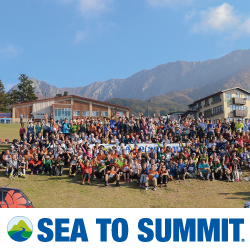 Montbell began holding the Sea to Summit events starting in 2009, an event focused on environmental awareness and provide opportunities to appreciate often overlooked areas. This event has participants paddle through the sea in kayaks, cycle across the landscape to the foothills of a mountain and hike to the summit. Participants experience nature with the five senses and reflect on the importance of the natural world. As of December 2018, the event has been held 62 times in 15 locations. On the day before the event, there is an environmental symposium with guest speakers. Building upon the Sea to Summit events, we began the Japan Eco Track project as a way to experience these events year round through non motorized means. 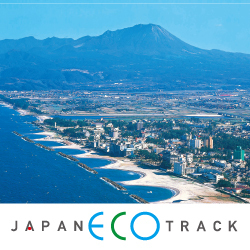 In 2015, the western region of Totori Prefecture represents the first route of the Japan Eco Track. This is the same route as the first Sea to Summit. The number of such routes has grown to 16 by January 2019. Looking ahead we are planning on creating more routes throughout Japan. Mirroring our passion for the outdoors and exploration, Montbell has always strived to start new projects. 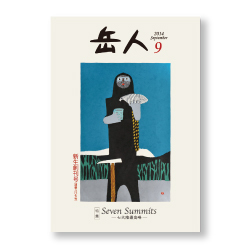 Our most recent project is taking over the publishing of an outdoor magazine, Gakujin. With over 60 years of history, when the magazine’s publication was uncertain, Montbell stepped in to save this important part of mountaineering culture for the future generation. Montbell started 40 years ago with a simple vision and goal. 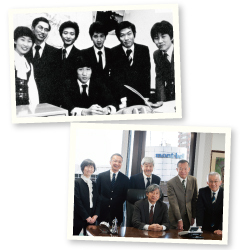 The founding members of Montbell laid down the foundation for the future of the company. Even today, the founding members are still with us and continue to give us new vision and lead us into new areas. We thank you for your continued support and look forward to sharing new innovations in the future.